Discussion in 'General Entrepreneur Discussion' started by Saf, Dec 6, 2017. 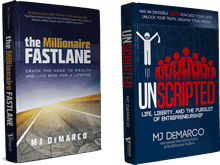 After reading the original Millionaire Fastlane book, I was completely enamored by the possibility of having a business that just generates income by itself for you, without you necessarily having to work on it a ton. However, researching into Passive Income online, many people mention that it's not in fact real at all, and that this is all just a hoax instead and that people who preach about this are just part of the new age get-rich scheme guys or just people looking to sell a product or market themselves. I wanted to get anyone's opinion on this matter, please let me know. Thanks for your time! I spent 90 days living in Hawaii, watching my kids play in the surf, and managing my business from a laptop. Passive Income doesn't mean no work. It means you work on your terms, and your time is separated from your income. If I list my old bicycle on eBay, and someone buys it from my garage, it's not passive. However, if I list 200 bicycle horns on Amazon, ship them to Amazon for fulfillment, and have Amazon send me an EFT every few weeks, is it passive? If I own a mini storage facility, and have a manager that works at it 50 hours a week, and I work on it 2 hours a week, is it passive? Take off your coat and stay a while here. Passive doesn't mean no work, especially in the beginning. You should be prepared to work harder than you ever have in your life to set up the rest of your life. I am part of no scheme, have nothing to sell you and no reason to market myself to you. I am telling you that where there's a will, there's a way and the people who SCRIPT for you the rules you have to live by are right... they themselves will never likely find financial freedom. Research the people who wrote the articles you refer to, and you'll find that each of them... works for someone else. By the way, you may want to drop by the newbies section here, take a look at how people do some intros and then write an introduction for yourself. Most of the people we see flame out here start with debate questions, and never really dive deep enough to study, learn, and contribute. Stop on by and spend some time taking a look at how new contributors get recognized. Edwin Fernandez, JunkBoxJoey_JBJ, goldstein and 35 others like this. Saf, it IS real but not as expected. My passive income is the fact that i sell on Ebay and Shopify and every morning i have new orders that i "sold" while I slept. It's passive income, however, there was some bulk time spent making those listings and a small amount of time to fulfill those order. I am also working on getting rental real estate that would be considered passive income because i'm not working there every day BUT when something needs fixing or i have to do the accounting there is time put in. I have passive-ish income. You will always have to put in some time. Don't be dissuaded though..it is AWESOME when I wake up and see I made another few hundred bucks (or more). fortu1992, Roulf, MidwestLandlord and 4 others like this. 50/50 on ONE AND DONE. Roulf, Kak, Kingmaker and 5 others like this. Ninjakid, Lex DeVille, BrooklynHustle and 2 others like this. I just sent you the value in fake currency what your post was worth to me in fake dollars. Arun Siva, ZF Lee, Scot and 3 others like this. Yup, but I give it 90/10. Notice one post and then leave. Didn't stick around to read anything. Join, post, leave. Too many people come here looking for lottery tickets and instead find hard work and tough challenges. In other words, passive income is fake because it isn't easy. I guess aliens have been sending me money for the last 20 years. Andrew J., Edwin Fernandez, Tiger TT and 22 others like this. jon.M, ZF Lee, Kingmaker and 3 others like this. Not worth my time to even bother. Roulf, Nily, ZF Lee and 3 others like this. Make your money. Buy a trailer park. Hire a property management firm if it’s not turn key. Find something to do with your free time. However, researching into Passive Income online, many people mention that it's not in fact real at all, and that this is all just a hoax instead and that people who preach about this are just part of the new age get-rich scheme guys or just people looking to sell a product or market themselves. I wanted to get anyone's opinion on this matter, please let me know. Thanks for your time! 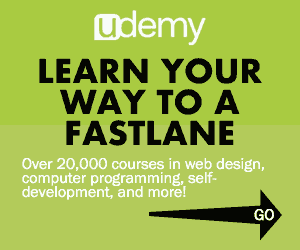 Passive income is fu*king amazing. Tiger TT and ZF Lee like this. As a suggestion, I think it would be nice to have a "post-verification system" to avoid passer-by's from derailing the quality of the forum. It depends on what kind of passive income you're talking about. My mobile home park is a LOT of work, but my tenants are low to moderate income. Someone is always coming, going or having issues. During the summers, I also have full hook-up RV spaces and sleeping rooms available. They are also take lots care and tending. I always joke that the Laundromat is my minimum wage job -- that takes 45 minutes per day to take care of -- opening, closing, cleaning and maintaining. My trust deed business is my favorite... the deals are hard to find and they each take a large up front investment. Then I have a bank collect the payments into my savings account and do all of the paperwork. My return is lower on the trust deeds, but a lot less trouble to operate. "Passive Income" is a pretty broad label. What type of income stream are you interested in creating? The e-businesses are blurring the lines between the different classes of businesses. My Laundromat, under the tax laws, is an active business. The mobile home park and the trust deeds are both passive businesses. Xeon, ZF Lee and ironman150 like this. Maybe the OP is referring to the true and final form of "passive income", which is lots of money which keeps rolling in monthly without having to work a single day in your life (e.g: sell the business for a few millions or more, then use that money to invest in safe bonds etc to build the "money tree system" mentioned in the last few chapters of Unscripted). I don't know. Does earning the same money as before while spending all your time sailing on your boat (thousands of kilometers away from the physical part of the business) and zero time on work for a few months count? Tiger TT, mws87, JordanK and 2 others like this. Lies!! Do NOT listen to this person @Saf... It is a hoax. The New Age Get Rich Scheme... is real. It's those thousands of hours, the learning curve, and wrestling that golden idea through the process that no one wants to talk about, or do. That's OK. I've always been up to doing that part -- doing the dirty work is my specialty. The guys looking for instant success are sitting the curb burping and chirping, wondering when & why they feel off of the gravy train. I met all these digital nomads when I lived in South Korea and travelled throughout SouthEast Asia. About a good 90% were Europeans for some odd reason. (I'd see mopeds then I'd see a few BMW's. Lots of Koreans and Chinese businesses in SouthEast Asia) Of course lots of English Teachers in Korea and Japan and of course American military.